It comes as no surprise that rising mortgage rates are impacting purchasing power. A recent study released by Realtor.com shows just how much monthly home loan payments are rising – and the results aren’t very pretty. Rising costs are obviously restricting the ability of many potential purchasers to afford a new home of their own. Others are being scared away from taking on a home loan thanks to an unstable market. The question becomes if rates continue to rise, will homeowners really be able to afford their loans? According to the study, the average mortgage payment in the United States has jumped over 15 percent a month since last year. At 15.8 percent to be exact, that roughly translates to $223 each month – a total yearly increase of over $2K, which is far from chump change. The exact number in September of last year for the average mortgage payment was $1,412. A year later it has leaped to $1,636. This number varies from market to market and was established based on a mean average of all markets combined. Some markets took a much larger hit than others. One such example is the New York city area, which saw an outrageous $545 climb in monthly mortgage payments due to the rise of interest rates. A second example is Seattle, who followed closely behind with a $533 a month rise. Just as some markets were affected more than others, so there were some which were affected significantly less. The Tampa-St. Petersburg real estate market only bumped up by $94 each month, for example. Who is Feeling the Largest Impact? While nobody likes to see their monthly payments rise, there are many in the middle to upper class income brackets which aren’t really feeling it all that much. They have the funds necessary to adjust their payments, even if they must do it begrudgingly. The people who fall in the low to low-middle class income brackets, however, are feeling the largest impact from these rising monthly loan costs. 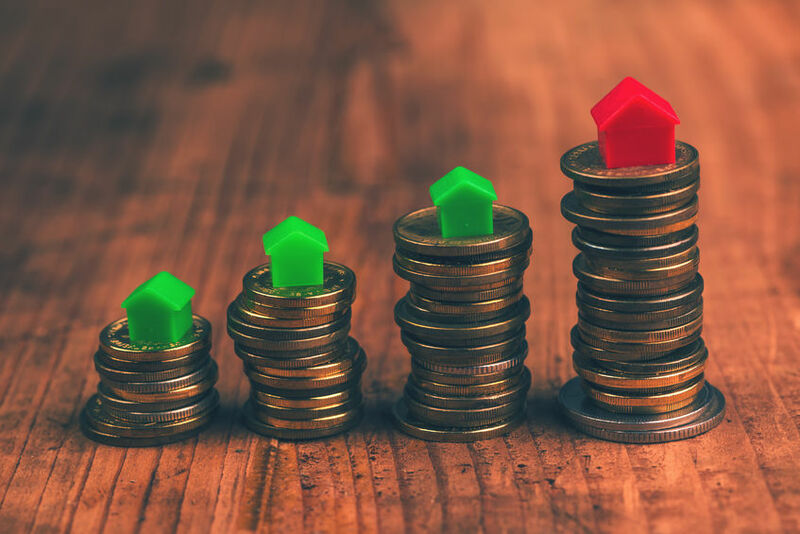 With many already suffering from annual income issues and holding lower down payments, rising interest rates could well make it unaffordable to continue making timely monthly payments on their loans. As for those in the lower tax brackets who have yet to purchase a home, the rising interest rates will be felt in the form of inability to obtain a loan. Interest rates hike up overall costs to purchase and make it more difficult for people with lower incomes to successfully obtain mortgages. If they do manage to qualify, lower income individuals will find their options are limited. With a housing crisis still in the works, it will be impossible to find homes in urban areas. Those who fall just under the tax brackets may be able to afford a small suburban home, but will likely be forced to move towards rural areas if they hope to find any available housing within their preapproval loan limits. This entry was posted in Blog and tagged mortgage rates by Scott Li. Bookmark the permalink.